There is nothing more aesthetically pleasing than looking at a nice brick wall! We carry out all types of brick and block-work whether it’s heavy industrial or elegant facing brickwork. 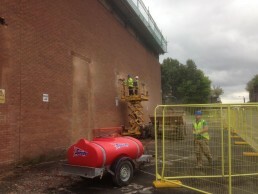 Last year we laid 38,000 concrete blocks for Mace Construction to build a data centre in Birmingham, these were heavily reinforced walls; but we also do brickwork repairs and smaller scale projects. 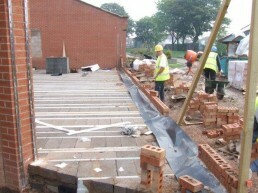 Brickwork building services in Birmingham and across the West Midlands.